Fine diamonds are among the most coveted of all gems. 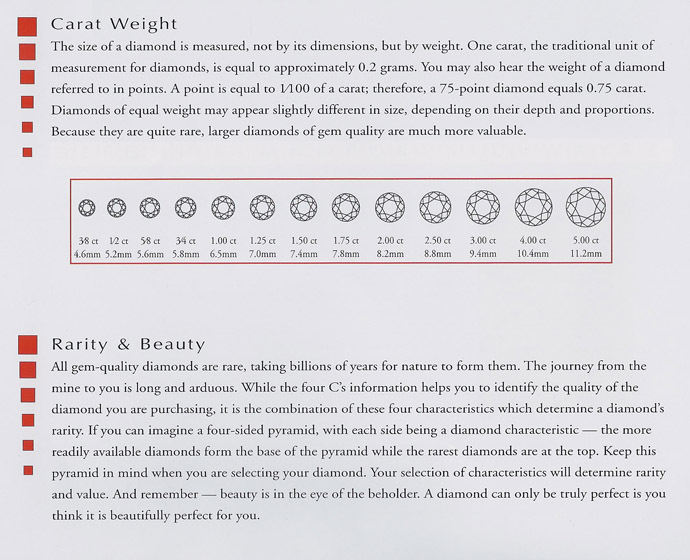 Their value, however, differs widely from one diamond to another. 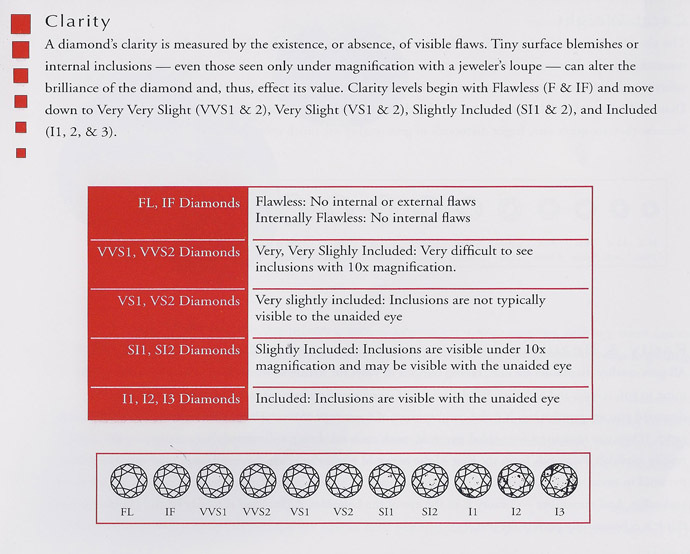 Experts evaluate every diamond for rarity and beauty, using four primary guidelines. These are called the Four C's -- Cut, Color, Clarity, and Carat Weight. Browse diamonds below or click on any of the 4 C's to learn more.